Our friend held up a life-sized cut out of Pope Francis to my preschooler. “Who is this?” he asked good-naturedly. “Umm . . . Saint Paul!” my little one declared, with the confidence of a three-year-old who still thinks he’s right about everything. We laughed and I smacked my head at my children’s lack of instruction, recalling the time years ago when my oldest saw a large photo of the founder of Chik-Fil-A and loudly proclaimed it to be Pope Francis to the entire restaurant. Clearly, religious education runs deep in our home. My hunch is that if Saint Paul were watching from Heaven, he got a kick out of it. Because today as we remember the conversion of arguably the most influential Apostle to ever live, we can’t forget that he too was a real human being, not a one-dimensional product of our fancy. But what if Saint Paul had responded differently? What if his heart had remained hardened and he had refused the call of Christ? Or what if he was baptized and believed but chose to keep it to himself? It couldn’t have been easy to suddenly announce a change like that. Many of us would surely have opted to quietly lead our household to the Lord and stop there. No need to admit how wrong I was to the whole world. No need to swallow down that humble pie. This might be the most impressive thing about this saint: he was willing to be wrong, famously and publicly. This is a true conversion. What happens secretly within one’s heart is important, but can conversion fully take place without a heaping dose of humility with it? For us to experience conversion, we must willingly consider that we’ve been wrong and vulnerably trade the preservation of our own image for the foolishness of Christ. 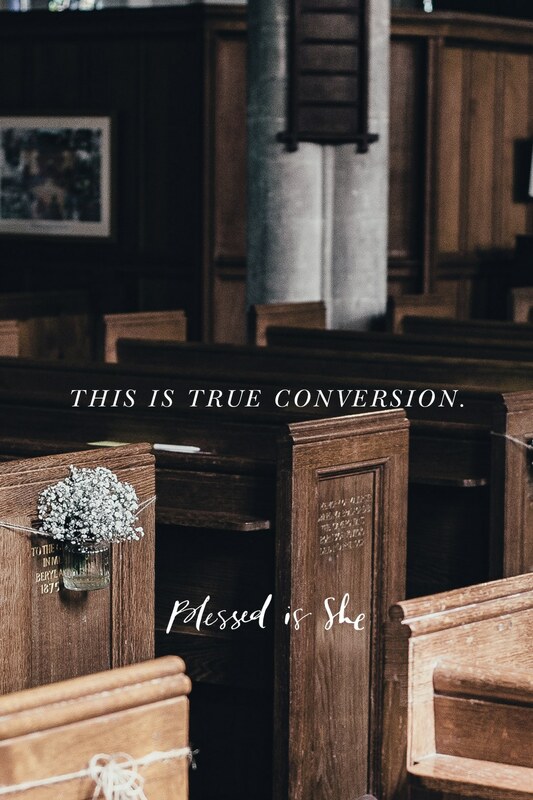 Can conversion fully take place without a heaping dose of humility with it? It’s a lowly kind of heroism, this conversion process. May Saint Paul the Convert pray for us. Shannon Evans is a Protestant missionary turned Catholic convert who lived to tell the tale. She is a writer, speaker, and podcaster. She and her husband and four children are passionately pursing a life of authenticity and justice. You can find out more about her here. This really spoke to my Southern Baptist turned Catholic convert heart. This was a great read for me today, especially as my number-one prayer is for conversion of a loved one. Thanks for the uplifting message!